Berry Bros. & Rudd Spirits has for the first time unveiled a series of whiskies exclusively for the international travel retail channel. 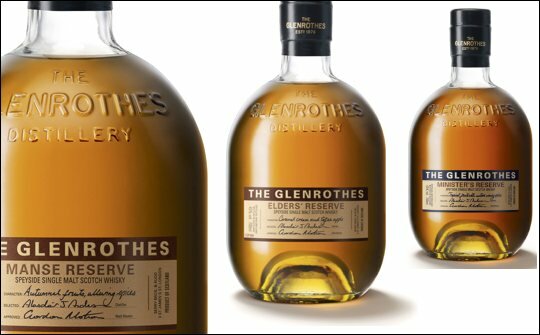 The expressions celebrate the spiritual home of The Glenrothes: named after the street on which Rothes House, stands, the Manse Brae range comprises Manse Reserve, Elders’ Reserve and Minister’s Reserve. The range comprises: Manse Reserve (43% ABV £33 / €40 / US$55) – approachable and accessible, soft yet rich, this whisky has been largely matured in American oak casks with the influence of some sherry oak also evident; Elders’ Reserve (43% ABV £80 / €99 / US$145) – matured for a minimum of 18 years, spicy with notes of coffee, wood and polish, this expression shows levels of complexity that can only be achieved by extended maturation; and Ministers’ Reserve (43% ABV £115 / €140 / US$225) – matured for a minimum of 21 years and redolent of treacle, Manuka honey, vintage marmalade and dark chocolate, this expression manifests the ability of The Glenrothes to develop great character with perfect integration.